In honor of the final season of Game of Thrones, Shake Shack has now added two GoT themed items to its secret menu. 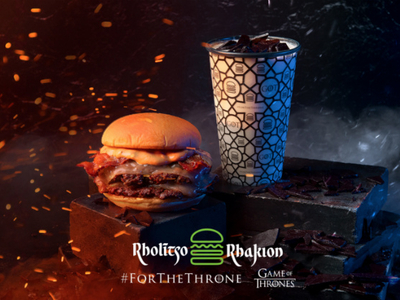 Try the Dracarys Burger with two all-beef patties dressed with bacon, zesty Monterey Jack cheese and spicy sauce held between a griddled potato roll, and the Dragonglass Milkshake made from white chocolate and mint ice cream topped with shards of contrasting black toffee served in a special limited-time souvenir cup. They'll be available for a limited time, and to enjoy the meal of fire and ice, you will need to order the secret items in Game of Thrones fictional Valyrian language and "bend the knee." Winter is Coming (or maybe not)!